6 Decorating Trends to Try Now! Looking for the hottest decorating trends to incorporate in your new apartment home? Below we have listed 6 popular trends we are crushing on right now! Mud cloth: Although the name does not have the most appealing visualization, “mud cloth” is actually a very up-and-coming pattern. 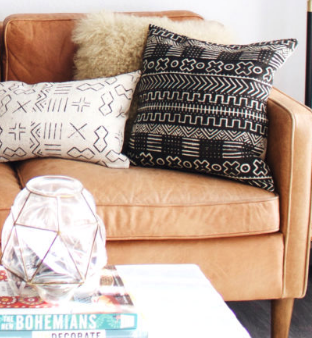 This pattern is African inspired and mostly seen in fabrics for throw pillows or comforters, but we are seeing this trend everywhere now, even on clothing! Copper: This hue is a very trendy way to incorporate a hint of metallic into your apartment décor, if neither gold nor silver is your thing. Copper is a more feminine metallic because of its pink undertone, similar to rose gold. You can find copper apartment accessories pretty much all over the place, from tableware to light fixtures. Curio shelves/cabinets: The coolest way to display all of your little trinkets is with a curio shelf! These shelves have a bunch of tiny compartments built into one frame, and they come in all different shapes to express your style. Flower bombing: This may be one of the more daring trends that we have seen in recent years, but it sure is pretty. The idea of “flower bombing” is simply just covering an item or space in flowers. It is a bold trend that is sweeping the interior design world and we can’t get enough! 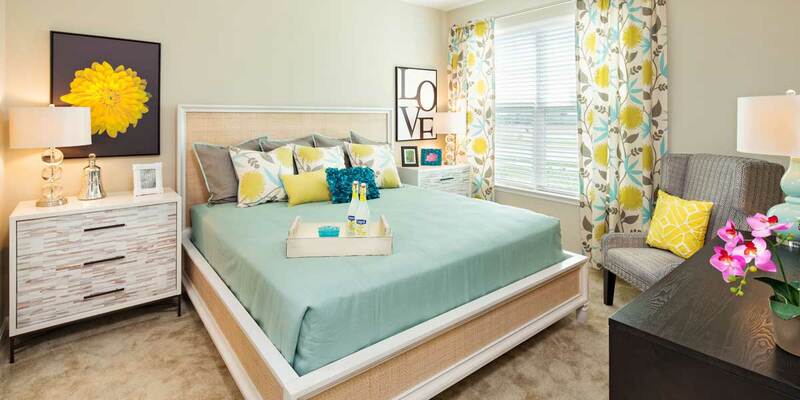 You can “flower bomb” a lampshade, pillow, chair, or even a bed frame. Shell chairs: This vintage chair style is back and better than ever! The unmistakable design was first popular in the 1950’s and is resurfacing as the modern day “minimalist” chair. You can find shell chairs in a variety of colors to match your apartment’s design theme. Concrete: Industrial interior design has been very popular in the last couple of years. Concrete accessories lend a great hand to this trend if that is the route that you want to take your apartment décor. 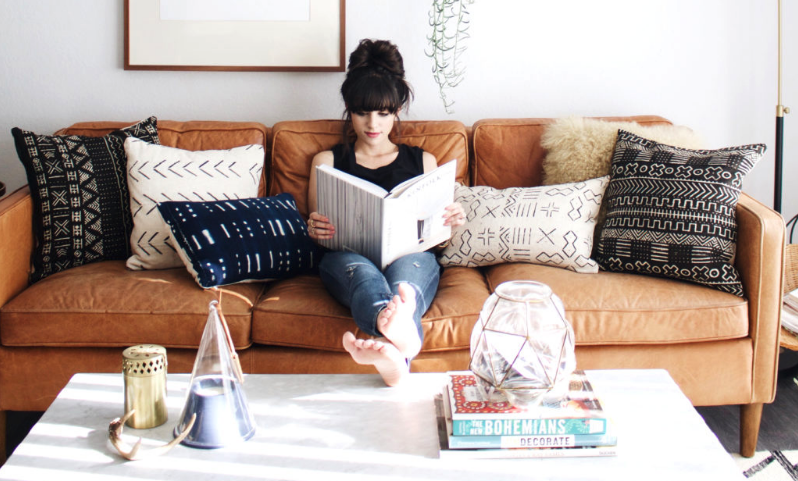 To see some great examples of how you can incorporate these trends into your apartment home, visit our Pinterest board here. If you’re in the market to rent a new apartment, visit arcadiarun.com to see how you can get used to getting more with a brand new apartment home at Arcadia Run!